The Lanternas is the premier version of the war galley, now equipped with gun powder weapons! 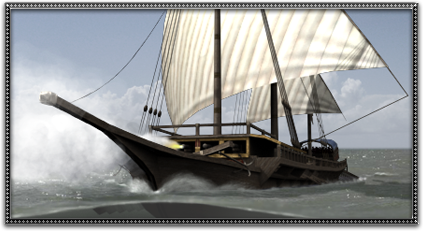 Being larger, heavier, more durable and better equipped than the war galley, the Lanternas is used by naval commanders in the Mediterranean during the 15th century. Featuring multiple centreline guns and some flanking guns it can take on and destroy war galleys. Military Dockyard can produce warship required by the fleet.